In QuickBooks Version 2017 we have the long awaited ability to email reports to multiple email addresses on a schedule that is customizable by you. To setup a Scheduled Report go to the following: Reports > Scheduled Reports > Schedule Setup. Why Should Your Company Use QuickBooks Enterprise Advanced Reporting? 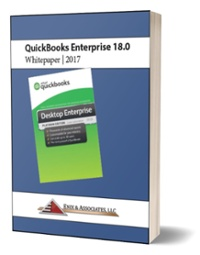 If you are a small business owner or a manager of a company and use QuickBooks Financial for your bookkeeping, then you may want to consider QuickBooks Enterprise Advanced Reporting. Q - How can I generate a deposit report for a particular time period by grand total? I do not need details per customer. I'm looking for more of a global report. A client contacted us this week with a QuickBooks reporting issue. Although not obvious, the solution is simple.